this looks neat if anyone is interested . What frame did this work in. Does anyone know? Only problem is that the electronics and LCD are missing. It's just the face of it. interesting. thats too bad it looks like a fun one. I dont have a lumina frame. I would of never noticed the lcd missing either. so basically this would be a parts cell. If that. More like a piece of artwork. All main parts are missing. Junction boards. Video and audio boards. Lighting controller. Sensor wiring missing. Plastic ball routes missing. It's probably a cel someone already stripped for parts. This is a nice laid back game to play if you ever do find a complete cell or machine. I recently bought this cell from a fellow member. It is a nice alternative to the hustle and bustle of the newest machines. I think it'd make a great picture frame for a snapshot from Six Flags Looney Tunes area. Or just pop a cheap LCD picture frame behind it for slideshows or such. I have one in Red Bisty Frame complete for sale only you pick it up here in Monterey,California. 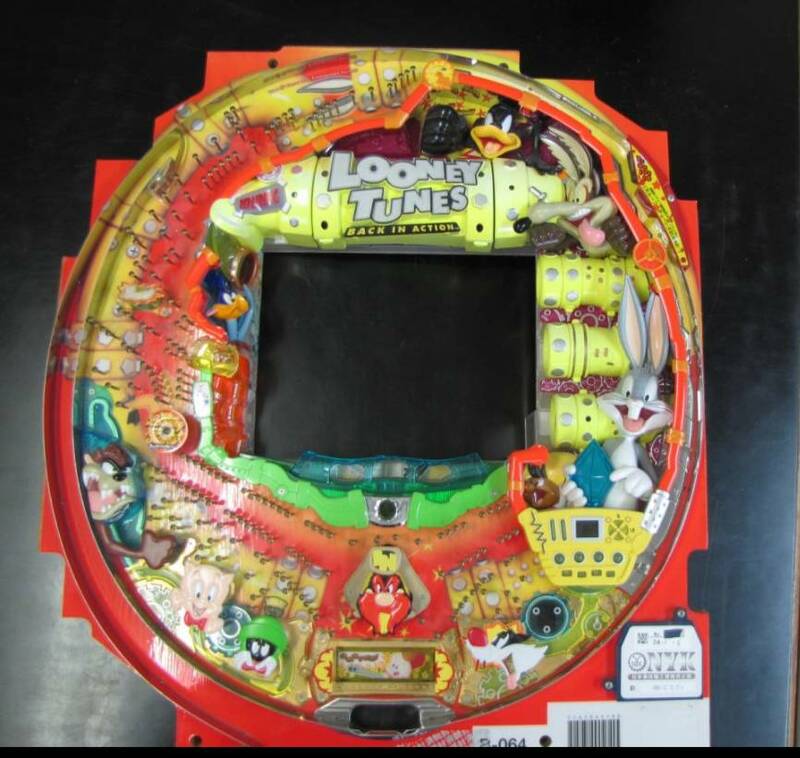 Looney Toons & Indy with $.01 Start! !